About the book: In this riveting retelling of the classic myth of Hades and Persephone, Lady Cora Winfield is captivated when she first meets Adam Douglas, Duke of Blackdale. Despite their attraction, Cora’s mother refuses to allow the duke to marry her. Taking matters into his own hands, the duke abducts his chosen bride and Cora is swept into the adventure of her lifetime. Amidst danger and thrilling uncertainty, Cora must face the reality that she is falling in love with her captor. My review: I loved this one! 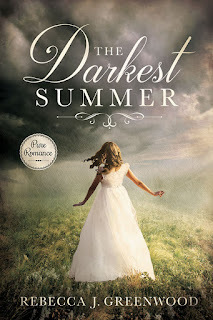 It's a regency romance, but it's quite a lot different from the ones you normally read. I liked everything about it! I liked Cora, she's a spunky girl that is always a bit at odds with her mother. Cora's been labeled "an original" because of her love and car for all things flower related. I loved the way she's so concerned about the plants outside, because it just keeps raining and raining without stopping. I was a bit sad that her mother locked her out of the orangery where she kept her plants because of something Cora had done. I really liked that in the end, she was able to stand up for to her mother and get what she wanted. Then there's Adam. I liked Adam. I liked that he liked Cora and could see what a wonderful person she was, even though she was seen as a bit odd by some. I liked the way he noticed her care for plants, and as soon as he noticed, he went out of his way to send her new and beautiful plants to care for. I liked the way he was, he knew what he wanted, and would stop at nothing to get it. Yet at the same time, he felt remorse for what he had done wrong. I had to laugh out loud when I realized just how Adam was going to go about getting what he wanted. It was funny that he had to kidnap Cora, when all he would have had to do was ask her, and she would have followed him anywhere. I loved that you see some of the story through the eyes of the servants, Kate and Malcolm, and that they have their own little romance. I liked the way Malcolm watched out for Kate. I loved the story line of this one. As I was reading it, I didn't even realize that it was a retelling of the Hades and Persephone myth, but looking back now that I've finished, I can see it quite well. It's really well done! 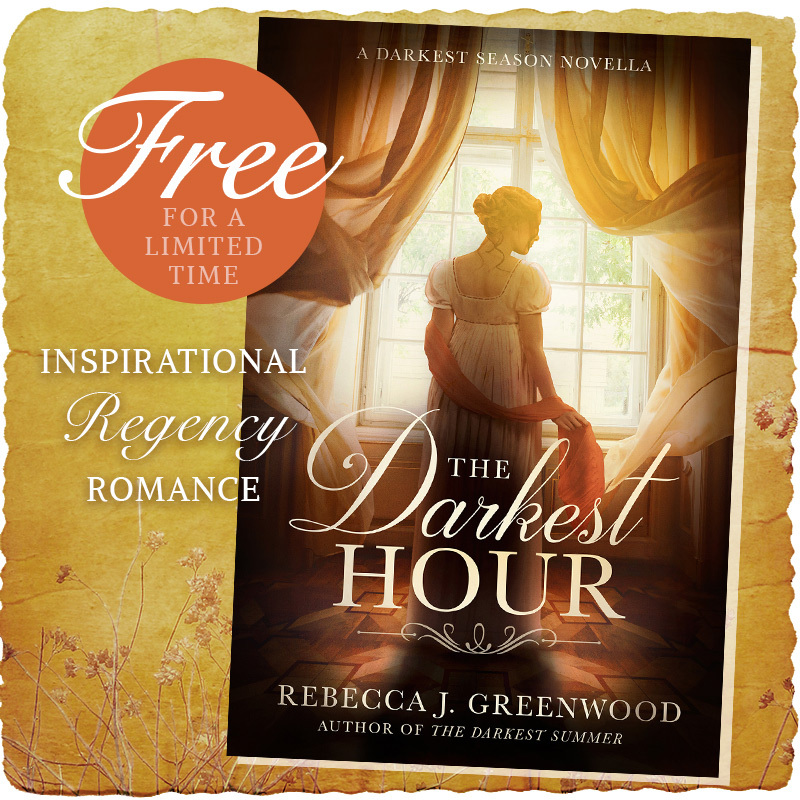 If you like Regency Romance, you'll love this great book! 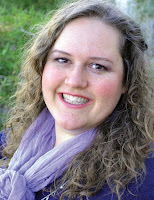 About the author: Rebecca J. Greenwood is an author, artist, and designer with a love of stories, especially Regency romances. She grew up in Texas as the oldest of six and studied visual art with a music minor at Brigham Young University. Rebecca lives in Utah with her husband, where she listens to audiobooks, cooks experimentally, has an interest in alternative health, and constantly has a new project in mind. Visit rebeccajgreenwood.com to experience more of her art, writing, and upcoming projects. Free e-book for you! The Darkest Hour, the prequel novella to this one is available for free on Instafreebie right now. Check it out! 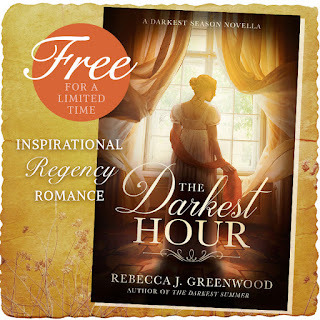 Here's the info on The Darkest Hour: When Lady Hester discovers her brother Adam, the Duke of Blackdale, was injured in the Battle of Waterloo, she rushes from Scotland to Belgium to be by his side. Her minister, the widowed Reverend Alasdair Gilchrist, escorts her on the journey. She is determined to keep her brother alive, and to keep her greatest secret: she’s been in love with Mr. Gilchrist for years.